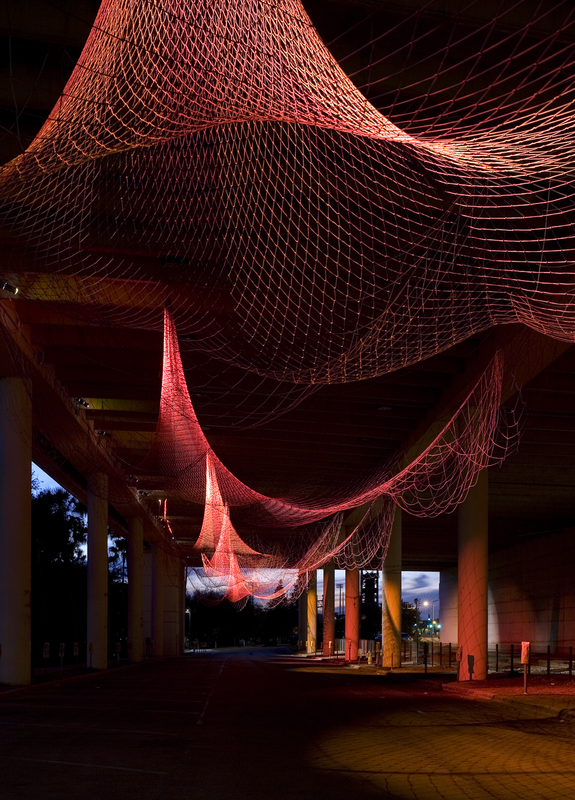 Echelman was drawn to the Poe Parking Garage site precisely because there was nothing to draw her to it. Its concrete construction method typifies the kind of flavorless, colorless structure that ultimately disappears from public memory. 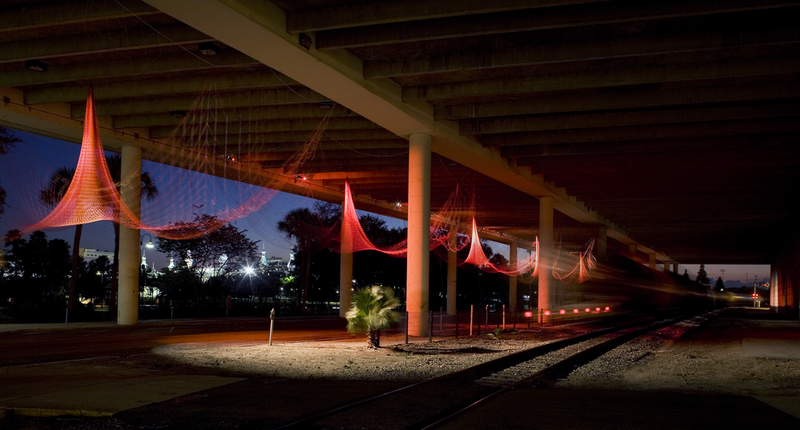 The artist began her research by asking people in Tampa what they thought of the garage. The vast majority couldn’t recall its appearance or even its exact location, despite the fact that it takes up an entire city block of waterfront in downtown Tampa. The site called for an infusion of warmth and color sufficient to draw people inside and through the space. 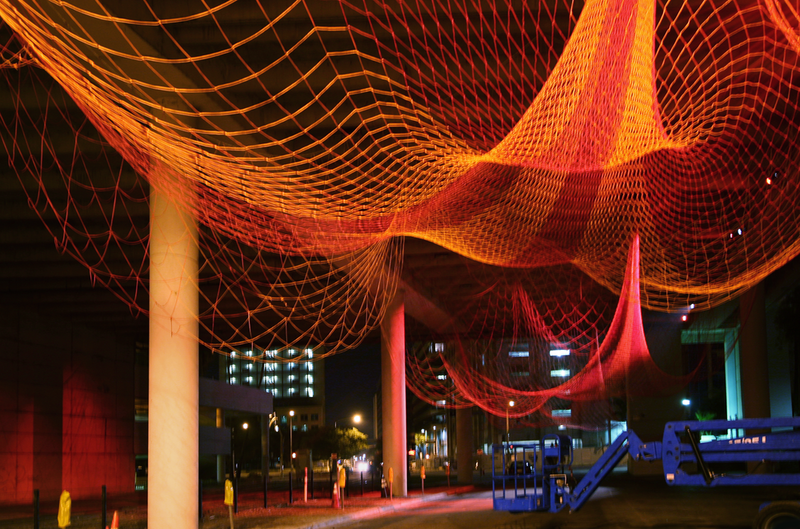 The site’s layout inspired two-part installation design. 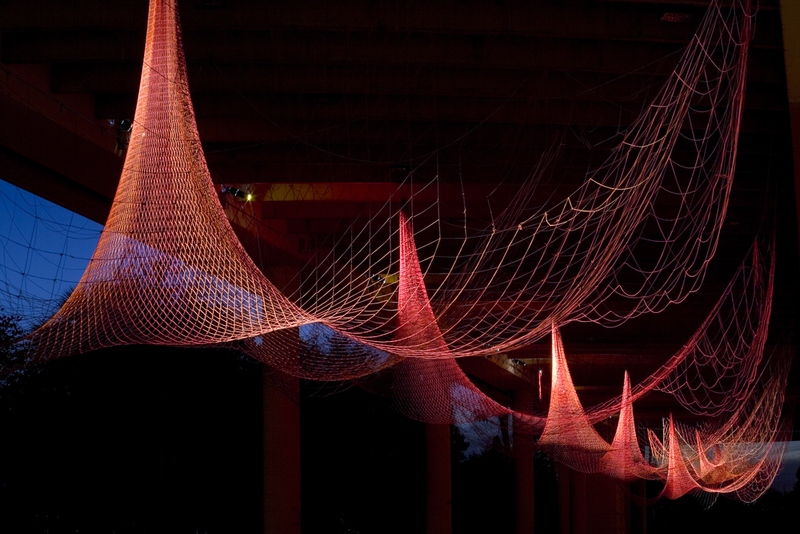 The first component is physical: a 3-dimensional line drawing suspended from the ceiling. 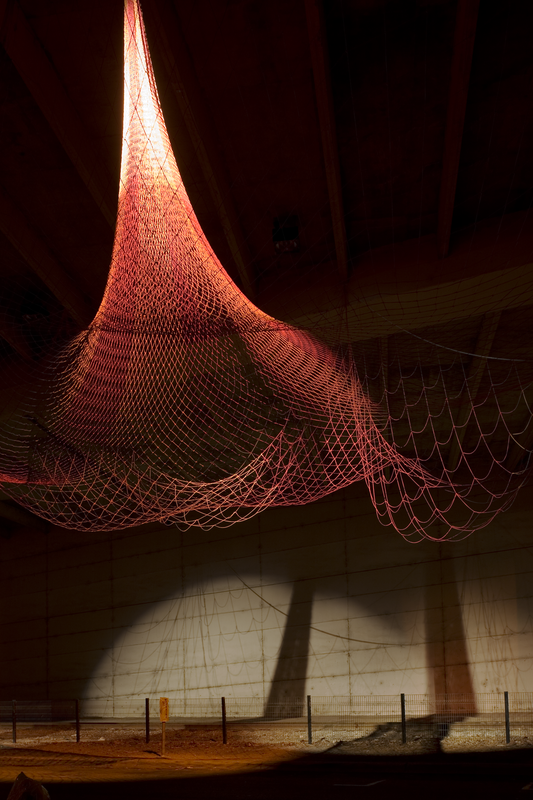 The second component lacks a physical presence – it is a projection of the sculpture, creating a 400-foot-long shadow drawing. 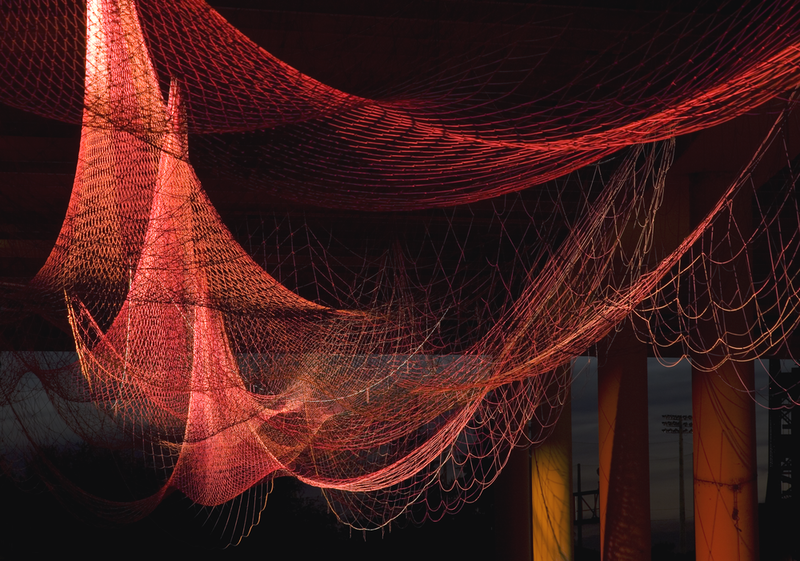 Echelman sees this project as a contemporary interpretation of Plato’s Allegory of the Cave, using urban infrastructure as a modern-day cave wall. The shadow drawing becomes more complex as it introduces a dialogue with the existing linear pattern embedded in the concrete wall that directly expresses the structure of the garage and the way it was made.